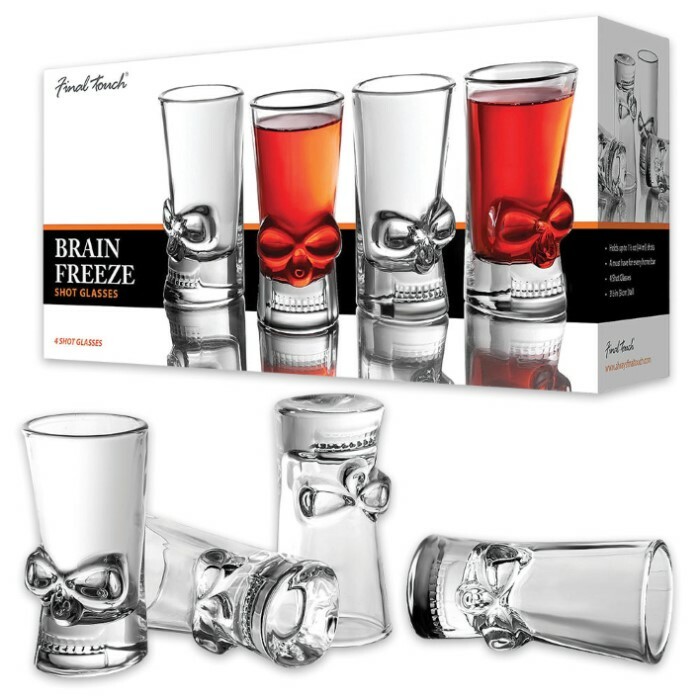 Brain Freeze Skull Shot Glasses - Set Of Four | BUDK.com - Knives & Swords At The Lowest Prices! 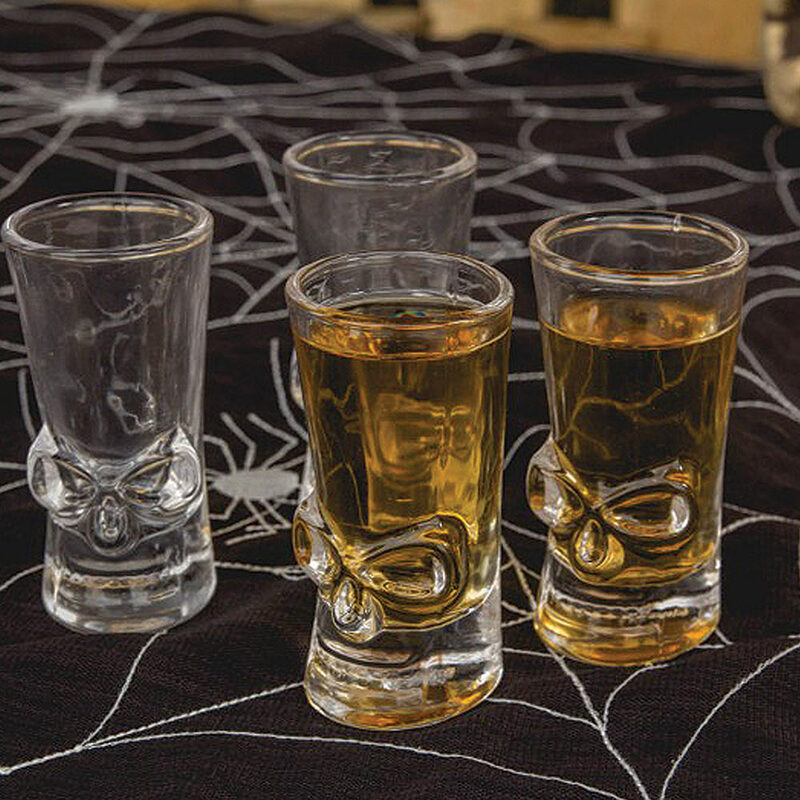 Fill the brains of these skull shaped shot glasses with your favorite liquor and toss a few back. These little guys hold up to 1.5 oz. 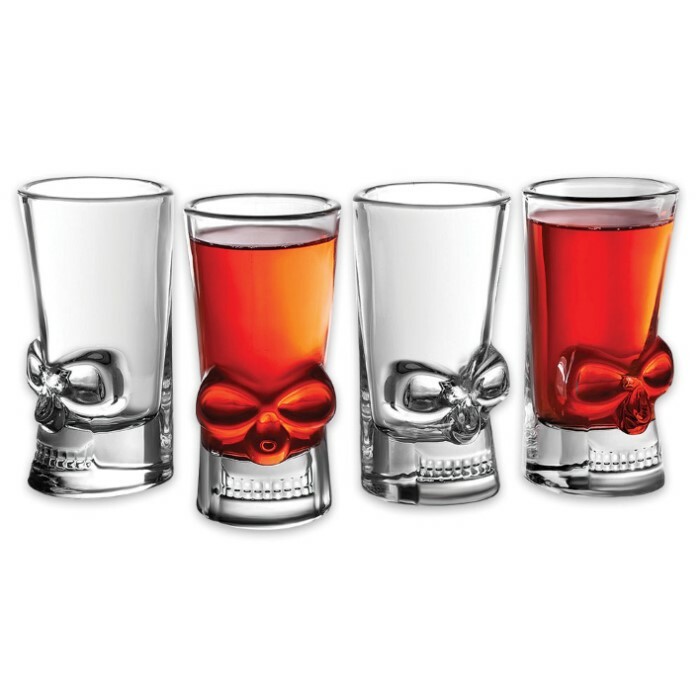 (44ml) of your favorite spirit and are a must-have for any bar or skull lover.